Results of a December 16-19 SWS poll of 1,440 adults showed 66 percent of Filipinos saying the number of drug users in their community decreased. Fourteen percent said it increased while the rest said it was unchanged. MANILA, Philippines — Majority of Filipinos said the number of drug addicts in their area dropped over the past year amid an intense government crackdown on narcotics, adding they want suspected drug traffickers be captured alive, a new Social Weather Stations survey found. Results of a Dec. 16-19, 2018 SWS poll of 1,440 adults showed 66 percent of Filipinos saying the number of drug users in their community decreased. Fourteen percent said it increased while the rest said it was unchanged. The proportion of people who said there were less drug addicts in their area compared to last year was the highest in Mindanao at 83 percent, followed by Visayas at 71 percent, Metro Manila at 67 percent and Balance Luzon at 54 percent. By locale, 68 percent of respondents in rural areas said the number of drug users fell. Sixty-three percent of those surveyed in urban areas think the same. President Rodrigo Duterte, a former city mayor, beat his more moneyed rivals and won the race to Malacañang in 2016 promising to eradicate crime and solve his country’s drug menace in three to six months. He later sought a six-month extension to his drug crackdown, saying he was shocked by the magnitude of the problem when he became president. 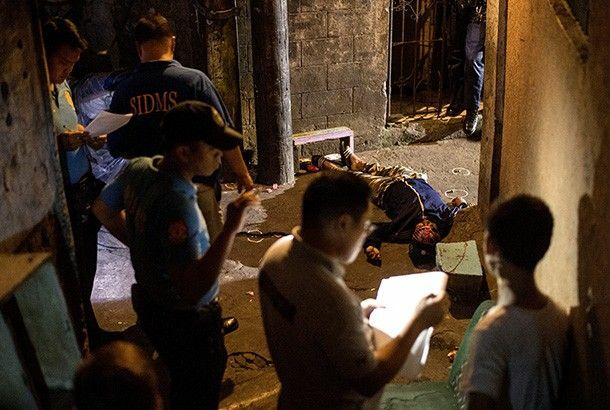 Human rights watchdogs at home and abroad say most of the fatalities in the government’s anti-narcotic drive are extrajudicial killings committed by cops, something the Duterte administration has vehemently denied. In the same SWS report, 95 percent of adult Filipinos said it is “important” for them that the police capture illegal drug suspects alive — steady since the survey question was asked to respondents in June 2018.